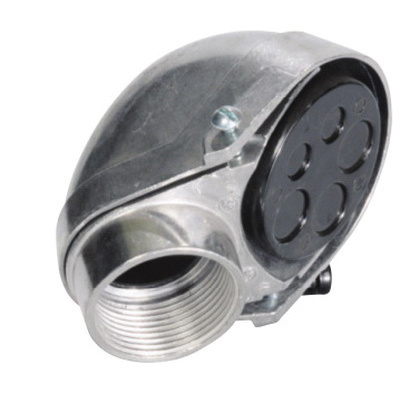 Sepco Service entrance head of trade size 1-1/2-inches, features aluminum construction. This weather-resistant head with phenolic insulation, measures 5.2087-Inch x 2.1670-Inch. It is perfect for use with threaded rigid conduit and IMC for pulling service drop conductors. Head is UL listed and CSA certified.